We love dress watches here at Gentleman’s Journal, and we’re lucky enough to see quite a few in our day-to-day. 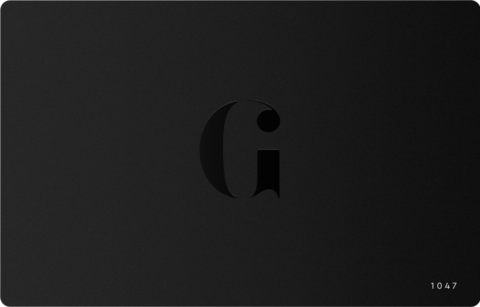 So we know there are certain design rules that most of these watches abide by rigidly – one of which is symmetry. To keep a watch looking clean, simple and easy on the eye, most brands will keep their dials perfectly balanced and symmetrical. 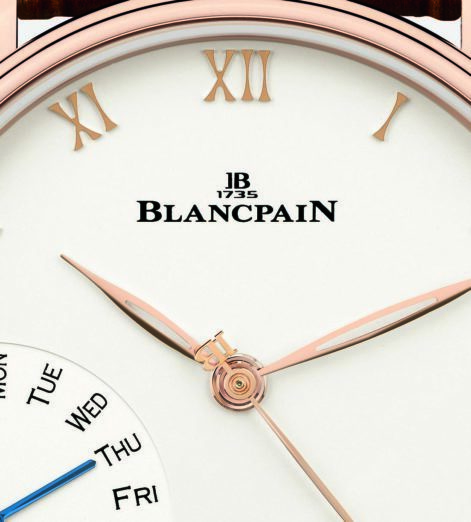 So what are we supposed to think when Blancpain breaks this rule and embraces asymmetry with true Swiss gusto? One of the latest additions to the Villeret family is the Grande Date Jour Retrograde, which brings large date apertures and a fan-shaped day indicator to the opaline dial. These are not arranged in a symmetrical way, but rather both placed towards the bottom of the dial. While not symmetrical, we really like this placement, with both of the complications done in a very minimalist way. They seem to sink into the dial itself, which gives what could have been a very plain dial both great clarity and great depth. The sense of layers is continued through the watch, with the signature Villeret two stepped bezel and the perfectly stacked hands creating a satisfying cone shape in the centre of the dial. 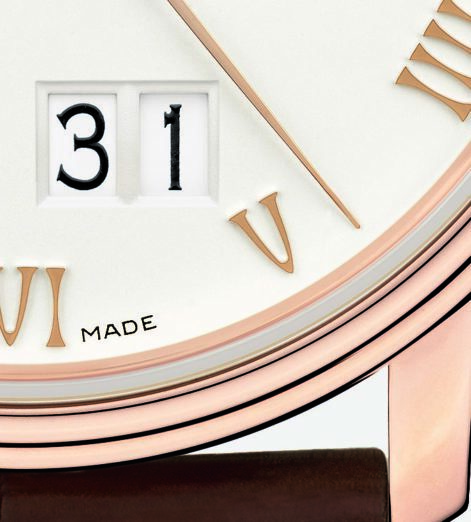 The simplicity of the dial belies the complexity of the movement beneath. 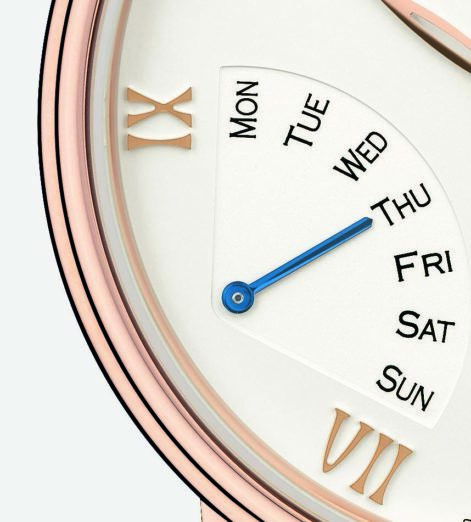 The retrograde day hand swings back the way it has come at the start of every week. While this movement might appear simple on the surface, for a watch hand to travel in both directions requires expert watchmaking. 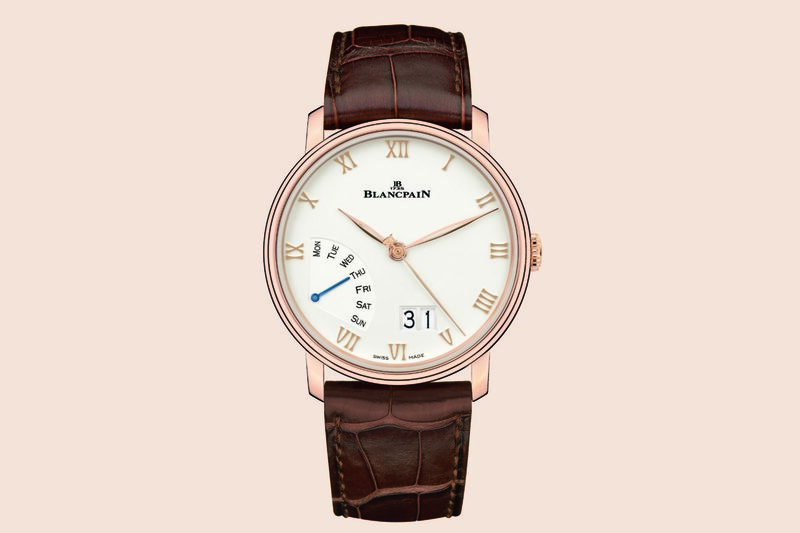 Powering this complex simplicity is Blancpain’s new 6950GJ in-house movement. 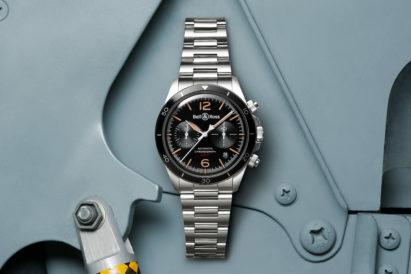 Thanks to its two mainspring barrels, it grants the wearer 72 hours of power reserve. 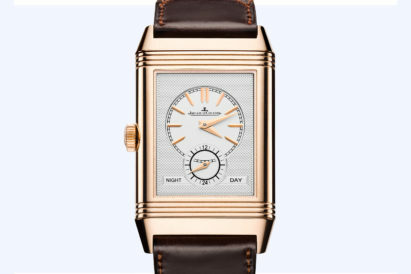 When you inevitably get compliments on this watch, you will be able to simply undo the alligator leather strap and amaze those around with the view of the movement through the sapphire case back, complete with the gold winding rotor and fine Cotés de Genève finishing. 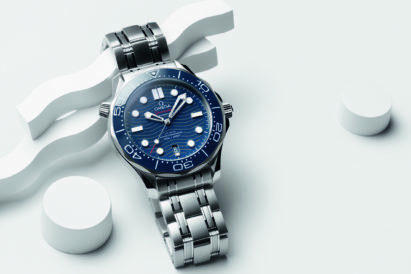 It might not be a traditional dress watch but, as far as we’re concerned, rules are made to be broken.